Each May, we run taster sessions for people to come along and have a go at rowing. It doesn't matter if you have never rowed before, we will show you the ropes. Sessions are run by experienced coxswains and rowers. They aim to give you a taste of what gig rowing involves and introduce the basic rowing technique. Wear anything that’s comfortable and allows a good range of movement – clothes like shorts, t-shirt, vest, tracksuit bottoms and footwear that can get wet – old trainers or sandals. Wellington boots are not advised. It is worth wearing a top layer that you can take off once you have warmed up. After the taster session, you can join our newbie sessions, usually held on Monday or Wednesday evenings during the summer. Again, these are run by competent and experienced coxswains. The first three outings you have with us are free. If you would like to continue rowing with us after these free sessions, we will ask you to sign up and become a full member of Ilfracombe Pilot Gig Club. 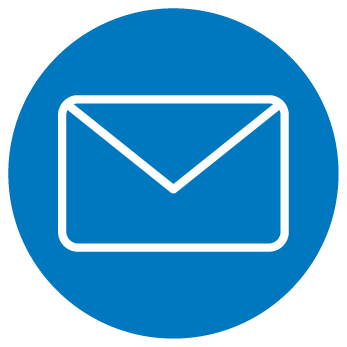 For more about membership, click here. 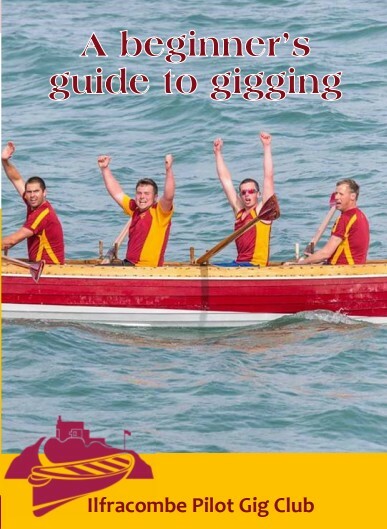 For a quick introduction to the Club and rowing, download a copy of our Beginner's Guide to Gigging here. 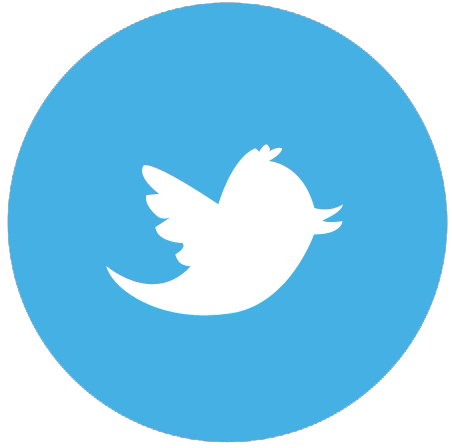 Before you get into a boat, we ask you to complete a short questionnaire. This is simply to ensure that you are medically fit to row. 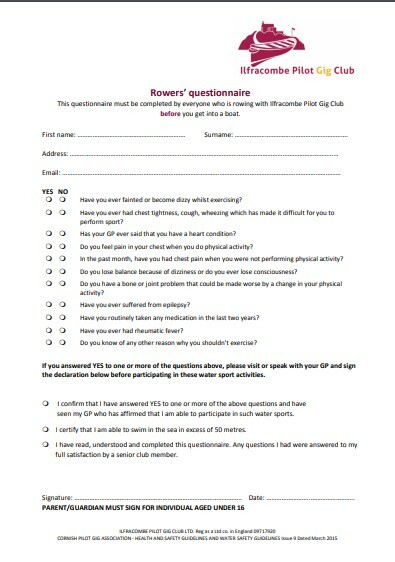 You can download a copy of the form here, or we will give you one when we meet to row. After your newbie sessions, if you want to keep rowing with the Club, you can choose to row recreationally or competitively. 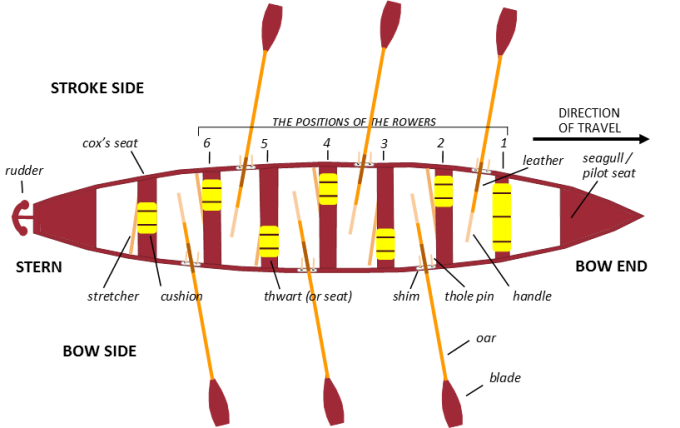 To progress from a novice rower into a competitive rower you need to have a sound understanding of the rowing technique as well as a good level of fitness. You must also be eager to represent the Club in regattas and have a determination to improve both your fitness and your rowing technique.